It's cool that you are into music- me too, though I just dabble. Mostly I sing, I can play guitar, but not too well, just enough to accompany myself. Once upon a time when I was much younger I thought about pursuing music as a career, but didn't. I have written some, but mostly use my talents to serve the church when I am able. My husband is also very musical, plays both keyboard and drums, in fact it was music that brought us together! Anyway thank you for your response, let me see if I understand you correctly: you see the sixth and seventh seals as coincident with the trumpets and bowls? That they describe the same events but from different perspectives, is that right? Before I respond I just want to make sure that's really what you are saying. No different events that start and end the second coming. So in a way they are tied together but are months or even years apart. I have been busy of late and will try to reply sometime this week. Just wanted you to know I haven't forgotten you. So I re read what you posted, and I am a bit confused. Please help me to better understand your reasoning. Seals 1-4 occur throughout the church age, and like "birth pains" they will intensify as the 70th week draws near. Seal 5 and seal 6 are imminent and represent the resurrection of the dead in Christ and the Rapture of those who remain. Trumpets 5-7 also occur closely together, they are the three woes.With the AOD occurring sometime around the sounding of the 7th trumpet, making the middle of the 70th week. As for Trumpet 7- which carries us through Rev.16, I agree it takes things back, and also forward, it is a broad overview of the 70th week. I do not see the male child in ch 12 as Christ at His physical birth when he was born on earth in Bethlehem, but rather see the birth as a metaphor to His being born into the heavenly kingdom, or His resurrection. The passage does say that He was caught up to God and to His throne and the implication is that this happens in order to keep the dragon from devouring the child. I would also contend that the male child is not only representative of Christ the Head, but also represents the resurrection and rapture of His body. As we know in a typical birth a child is born head first followed by its body. The metaphor is apt, Christ was the first fruits of the dead, firstborn of the resurrection, we as His body will follow Him. We are after all born again "IN" Christ. And as we know scripture says that Satan seeks to devour us. Our hope is the resurrection or our birth into the heavenly realm into our glorified state, the redemption of our body. Then the bowls follow 1-7 in succession. I see the events happening linearly, consecutively. And though there are similarities between the effects on earth that happen, and some of the effects may overlap, they are not described in the exact same terms. I think I have explained some of the differences that one can find in the scriptures that show this to be true. Also one cannot look at the events solely within the confines of the Olivet discourse and the Revelation, the Old Testament has much to add that also must be factored in. If you wouldn't mind postponing any debate you might want to pursue about my order and instead first provide me with a list of the seals, trumpets and bowls and how they fall in the order or sequence of events as you see them. It would be much appreciated and helpful for me to more fully appreciate where you are coming from. As time permits of course. Both the Olivet Discourse and Revelation follow the same two part structure. The Olivet Discourse only covers the seven seals and stops before the trumpets and bowl judgements. That is why there is a one-to-one match only up to that point. In Revelation, the story continues up to the end of the age. In Rev 12, it jumps back in time to the mid point of the end times and, like the Olivet Discourse, goes into detail about a number of things. Thus the bowl judgments are just another/different view of the the trumpet judgments. That is why these judgments match up. Any end times sequence must start with Daniel, the Olivet Discourse, and Revelation. These are the big three sequence passages. These three must be harmonized and they provide the framework to understand all the other prophetic passages. It is important not to start with any theory about timing of the rapture or anything like that and just take straight scripture, linking up similar things. Let the rapture timing be a conclusion, not a starting point. I really do not care when the rapture happens. All I care about is getting the sequences straight and letting the rapture happen when it happens. I've already listed the sequences of the Olivet Discourse and Revelation in detail. No need for me to repeat that. They are mostly straight forward and I've pointed out significant words that indicate jumps in time. Words like "but before this..." force us to alter a straightforward sequence. Things do jump. The question is to where. I feel I have answered these questions. The fact is prophecy is really not too hard to understand. I know that flies in the face of a hundred years debating all these things. But it appears hard to us only because we make mistakes and then try and understand things from the wrong bias. If we lay aside all our theories and just figure out the sequences from the main passages, everything becomes simple. Simple and easy is relative I know. What is simple for one person is hard for another. Take calculus. To one person it is easy; to another it is impossible. So listen to the person who says it is easy for them. When I have written all that I have and then somebody thinks I am saying the sixth seal takes place at the end of the age, I just put my face in my hands. Look, the only point I really wished to make is that a 6th seal rapture cannot be a pre-trib rapture. Beyond that, if somebody wants to figure everything out in prophecy, just take the main sequence passages, list them out, and harmonize. Only one solution remains. End of debate. The only reason why we get into all these different opinions and debates is because we are not taking the right approach from the start. For years we have started with minor details and jumped all over the place, ignoring the sequences. Let the main thing be the main thing. Just list out the sequences and everything falls into place. It really is that easy. Even better than I do it, you do it. Everybody should do it. Just start with the three Olivet Discourse passages. List out the sequences and harmonize those three passages together. Let us start with that. No rapture timing issues. Ignore Revelation for now. Just link the three OD passages and get the sequences from then. Start there. Once we have that done, we can move to step two. Seal 5: Begins shortly before the AoD as Daniel mentions that AC is furious at Christians even before the AoD. Persists until seal 6. Trumpets 1-6: Start taking place after the AOD. They are quick and in succession as World War ensues. Trumpet 7: Rapture. Most popular rapture verse in the bible says specifically "at the final trump". There is only one place in the bible pertaining to the end times that speak of trumpets and that is the 7 trumps of Revelation. Also 2nd most popular rapture verse says we "are not appointed unto wrath". Which is now about to occur. Another statement by Jesus himself says "For the sake of the elect I will shorten those days". The tribulation will end early for Christians, we will not be here the entire 1260 days. Lastly by Jesus himself as well: "Just as it was with Noah when he safely entered the ark and on the same day the rains came, so shall it be at my coming". The SAME DAY Christians are raptured to safety, God begins his period of wrath. Bowls 1-6: People rarely notice that unlike the seals and trumpets, these are specifically labeled "Bowls of Gods Wrath". these all take place during the time of Seal 6. Persists for the remainder of the 1260 and ends with the battles of Armageddon throughout the middle east. Bowl 7: It is finished. The AC has been defeated. Jesus will reign. so I guess I should say I am "pre-6th seal" rapture, in that it takes place before, but literally on the same day both will occur. So Morpheus, I guess our disagreement comes when trying to align the heavenly signs in the Olivet Discourse with the heavenly signs of the Revelation. I see no contradiction in a 6th seal pre trib rapture, the heavenly signs are similar but not exactly the same as those that are disclosed in the gospels. I have stated already that I believe that the beginning of the 70th week is by design meant to look very much like its end, and that it will in fact play a roll in the rise of the Antichrist to power. Of course this is just a theory and I cannot prove it 100% . But I do think scripture does support such a theory as I have explained in my posts. I still cannot quite get my head wrapped around your timeline, but I think I get the gist. One can try and nicknack about is the moon actually dark or is it red? Actually the truth is when an eclipse happens, before it goes dark, it goes red. If one knows anything about astronomy or has seen an eclipse, they would know the two are not exclusive at all. So to say this is a difference is not a valid point. Actually you have it backwards, the shadow of the earth on the moon looks dark until the shadow fully covers the moon. The truth is that you cannot have a total lunar eclipse of the moon without it looking red. Total lunar eclipses never become totally darkened. Though I am not necessarily even claiming that it is an eclipse that causes this. The point is John describes it this way at the opening of the sixth seal. The moon according to the Olivet signs does not shine forth its light, it is not red like blood as is described at the opening of the sixth seal where it is in fact still visible. I am not nicknacking about this, it is in fact a difference that I believe matters and is a very valid point. The two signs are different, that is the point. Also the behavior of those on earth at the 6th seal is very different than that same group of people described at the end of the Revelation. You cannot have some of the effects of the sixth seal happening at different times throughout the 70th week. All the effects go together and result from the opening of the seal, therefore the reaction of the people on earth coincides with this event. The same group of people are described in very different terms at the time of Christ's coming "After the tribulation of those days". If you are going to say that the blood red whole moon is the same as the moon that does not shine forth it's light, then you also have to say that the people hiding among the mountain caves and rocks are also gathered on the battlefield to fight against the lamb, which clearly cannot be the case as I have stated in my earlier post, you cannot have the same group described as hiding in the mountains in fear of the lamb, and also gathered out on the open plains to wage war with the lamb the two are incompatible with each other. I have another question for you, in Revelation four, John sees the Lamb enter the heavenly tabernacle standing as if slain, and the scroll sealed up with seven seals is given to the lamb. What would you say the scroll represents? I feel that this is also an important factor in the timing of events. I am afraid you do not understand my theory at all. You go into how the moon being dark is not equal to the moon being red. Therefore the Bible is talking about two different events. Then to counter me, you argue how the red moon is the darkest the moon ever gets. My point is only that a red moon is a dark moon. The two are synonymous. So the Bible is indeed talking about the same event. You made my point even better than I did yet took the opposite conclusion. Maybe I just don't follow what your point is. Maybe we are just hopelessly speaking past each other. Stand back and take a look how I approach prophecy eases how you do. I think you are starting out all wrong. You take one point and then leap from conclusion to conclusion to conclusion to get to your final conclusion. I think this is all so wrong, not just with your approach, but to all the approaches over the past one hundred years. The key is to list out the sequences and then harmonize. When you list out sequences it should reflect a one-to-one scripture to listing. Like this. We have to make sure this list matches scripture one-for-one. My question to you is this. Is this list in fact actually Biblical? What scripture is this list from and why? Once you makes sequence of the big prophecy sequence passages, then we need to harmonize horizontally. That is pretty much all there is to understanding most all prophecy. A key things to remember is this. When matching things up horizontally, the shorter the final sequence the better. For example is this sequence right? One should be able to look at this harmony and easily see that it is only partial and missed out on further matching up things that should be matched up. However, it is almost impossible, maybe even totally impossible, to condense things too much. This sequencing and harmonization is 99% what it takes to solve prophecy timing questions. We should be able to see where somebody matches and where they do not match. When somebody refuses to match up two things because one sequence says the moon will be dark and the other says the moon will turn red, we can debate whether it is a match or not. But the easy way to see if they match up is not just to look at the words like "red" and "dark", but at the sequences around them. If not matching the two words up leads us to an extended list like the second example, then we easily see the two sequences should be condensed and the words are to be taken as equal. The laws of Hermeneutics require us to let the more clear interpret the less clear. In this case, it is the sequences themselves that tell us whether the words "dark" and "red" are referring to the same thing. Sequences are much more clear because they are so much harder to harmonize. We know from experience that during eclipses the moon goes both dark and red. So we should be very willing to consider a dark moon and red moon, or even a "moon that does give its light" to all mean the same thing. Indeed in this case, the sequence can indeed harmonize and also lead to a shorter master sequence. This methodology is what is lacking in most peoples study. They build the sequences as conclusions after they do all this logic. However, their logic is really just assumption jumping to assumption and there is no end to the debates. But start with sequencing and let the sequences determine the matches and you have one solution that jumps out clearly. Maybe it is just so clear for me since I have been studying this for 30 years. But then again, I spent most of that time doing the wrong methodology and making all these mistakes that I had been taught. When it came time to teach my kids and I showed them the right methodology and the conclusions, it was a simple thing for them to understand. In fact, they quickly corrected me on a mistake I had made for 20 years. It took them all of a hour to understand it all and then pass me up. They saw so clearly even things I had not seen. After using the approach outlined above, I have had person after person come to me and remark how clear and easy prophecy is. Well, not that it is actually easy, but in comparison to what their past experience was, it really in the end was quite easy. I am not just referring to my kids. I am talking pastors and bible teachers. Pursuing wrong conclusions is always hard. I for one cannot conclude that a red moon is equal to a moon that gives no light. And when I separate these as two different signs, then things become very clear to me. Joel is a book which contains both signs in its prophecies, along with contextual references that support them being different, notably that the dark moon is in the Day of the LORD, while the red moon is before. I believe in taking every word seriously for what it's saying, and not concluding that since there are similarities between two passages the disparate portions should be overlooked in their differences. Yeah I think I kind of said that myself, I am still a bit confused about it. You talk about sequences and harmonization, and yet I do not feel at all that my theory contradicts at all the sequences in the Olivet discourse. Like I said I think it would really help me if you could insert the seals/trumpets and bowls into your list. I think I could better understand you if you did. I know it's time consuming and if you don't have the time I understand that. , speaking of the moon, my point was that you have this wrong, as far as eclipses go, the moon is first darkened by the shadow of the earth and then when it is fully eclipsed it looks red. My point is only that a red moon is a dark moon. The two are synonymous. So the Bible is indeed talking about the same event. 3650 ὅλος [holos /hol·os/] adj. A primary word; TDNT 5:174; TDNTA 682; GK 3910; 112 occurrences; AV translates as “all” 65 times, “whole” 43 times, “every whit” twice, “altogether” once, and “throughout + 1223” once. 1 all, whole, completely. 129 αἷμα [haima /hah·ee·mah/] n m. Of uncertain derivation; TDNT 1:172; TDNTA 26; GK 135; 99 occurrences; AV translates as “blood” 99 times. 1 blood. 1a of man or animals. 1b refers to the seat of life. 1c of those things that resemble blood, grape juice. 2 blood shed, to be shed by violence, slay, murder. The moon in John's view is a full moon that as it is shining takes on the appearance of blood. The meaning here is just what it says, the moon gives no light, a moon that gives no light is a moon that cannot be seen with the naked eye. Could it be a new moon? Maybe, but that would contradict the whole moon that John sees at the sixth seal. In fact I would suggest that the implication here is that the darkness is all encompassing, because the sun is completely blocked out there is no light by which to see, there is no light reflected onto the moon. it is the sequences themselves that tell us whether the words "dark" and "red" are referring to the same thing. Sequences are much more clear because they are so much harder to harmonize. I would disagree, a sequence such as the one in Matthew 24 is a list of events given in an order. The sequence does not define what words in other passages mean. what do you think the scroll represents? John sees the scroll sealed up with the seven seals. Clearly the seals are on the outside of the scroll, keeping it from being opened. he knows that the scroll has writing on both sides, because there is writing on the back or outside of the scroll, this is called an opisthograph, a two sided scroll. A scroll written on one side would not have writing visible on the outside of it. 1 I saw in the right hand of Him who sat on the throne a book written inside and on the back, sealed up with seven seals. The implication is that in order to open the "book" or more properly the "scroll", the seals would first have to be broken. We know that as the seals are opened there are actual physical events that transpire on earth that correlate to the breaking of each seal. So in Revelation 8 the final seal is removed and the scroll is opened, so what then do you believe is written in the scroll? The bible does not contradict itself. Both a darkened moon and a blood red moon will occur at the 6th seal which brings Gods wrath at the end of the tribulation. I think the problem is that we have been led to believe that the "event" of Gods wrath is a 1hr extravaganza. But as I posted above, its most likely that the days of the 6th seal, the pouring out of Gods wrath is a time period of several days/weeks rather than just 1 hr or 1 day. In this case a blood moon can occur early on at the opening of the 6th seal, while the later on deeper into the period of wrath, the Sun goes out (as there will be no need for it as heaven is opened and the brightness of His coming will illuminate the earth). Even if just a 1 day event, a blood moon and a dark moon can still occur. Remember the Hebrew day starts at night, sunset. So at night they see a blood red moon, but as dawn approaches and the eclipse ends darkness ensues as God turns off the sun, thus the moon goes dark right after being blood red. Just my 2 cents. Sorry for butting in. Don't be sorry, anyone can add to the debate at any time, you are not butting in. So do you believe that the effects of the breaking of the sixth seal happen over time, years even, starting out as a blood red moon and then eventually becoming the darkened moon that happens later at Christ's return? Like the seal begins the change in the moon and the wrath of God completes it? Or do you see that the sixth seal is broken at the time when Christ returns, and changes from red to dark within a shorter time frame? I agree the bible does not contradict itself, what you are claiming is not what the bible says though. The effect of the sixth seal is not a moon that does not give forth its light. Yes it is darkened, clearly, but that is not the same thing as having no light which is what is stated as a sign in the Olivet discourse. First of all no where does the scripture say that the event that occurs to cause the blood red moon is an eclipse, that is an assumption we make, but it could be some other event that causes the appearance of the moon to look that way. But in any case John describes the sun as darkened with a sackcloth of hair. If you were to hold up a sackcloth made of hair you would see that light penetrates through it. They were not woven so tightly that they would block out all light. They were woven with a course weave on purpose, to create discomfort. I do get your point about the day vs. the night, though John lists the sun darkening first followed by the moon looking as blood. Obviously a blood red moon or a moon that does not shine forth its light are descriptions of a moon as it would appear in the night sky. Whereas the sun would indicate a daytime sign. Therefore I do not think that John is implying that the moon is first red and then turns dark when the sun comes up. Both the Olivet discourse and the opening of the sixth seal describe the effects of a moon at night when its light would typically be shining. Not a moon during the daylight hours when its light is normally overtaken by the sun. I would ask you the same question I asked Morpheus: what do you believe is written in the scroll? I think the scroll itself has much to add concerning the timing of events and the order in which they happen. Forget the Bible and forget prophecy for a moment. If an eclipse happens, which of the following statements are true? If these statements cannot refer to the same event, then which one is true one? If four observers were standing together and made these comments, which person told the truth? Or maybe there just might be truth in all four statements. Maybe they are all talking about the same event. Just maybe. But to say for certain that they cannot be talking about the same event is a hard position to hold. What an eclipse looks like also differs depending on one's perspective. Eclipses happen all the time but one can only see it from certain places on earth. To say there is only one proper perspective defies reality. Go to any astronomer's meeting and ask the above question. Ask them which of the statements are true about an eclipse. They would laugh at you and kick you out of the room pretty fast. Yet, here we are. People say when it comes to the Bible, there is no way the four statements can all be true at once. So I ask, which of the four statements is/are true and which of the observers are lying? morpheus wrote: Forget the Bible and forget prophecy for a moment. I posted a timeline above, but basically the 6th seal is short duration of time at the coming of Christ at the 7th trumpet/final trump. I believe the Seals themselves are a grand over-arching view of the 7+yr period. The 6th seal being the time of Gods wrath which, in my view based on events in scripture, takes place over a period of days or weeks. So in that sense, a blood moon can occur first early on, then go dark later along with the sun. I agree. The sixth seal does not state the moon goes dark but blood red. Jesus says the moon goes dark on the day of the Lords Vengeance. Other prophets list one or the other or both as well. The question you guys were debating is whether this is the same event, can these happen at the same time. My answer is yes, same event, just over a period of time rather than being squashed in some grand 1 hour finale. true. John states its sun dark first then red moon? Do you know of any other places that places a order. I had thought it was blood first then sun darkened. Okay so am I correct in my assumption then that those of you who disagree with me, primarily see the 6th seal effects on earth as occurring around the time of the Lord's return? This is what I am trying to figure out. Also no one has as yet answered my question about the scroll. I'd definitely put this info as a good possibility of part of what the scroll of Revelation is about. Zechariah is the apocalypse of the OT. Lots of stuff there matched up with Revelation. So it makes sense. I don't think we can be positive we know everything in the scroll. Only what Scripture tells us. We also might link this scroll to Genesis 3 because that is where man, woman, and the earth was cursed. So the info in Genesis might also be involved. I really haven't come across anything else in the Bible that I think is related. I am sure there are other scrolls mentioned in the Bible but not too many. And nothing about those stories seem to relate. RT, if you have some other info, then I'm curious what you know. I'm also curious why you think this is something to talk about. It's in the Bible and that is good enough reason for me, but it seems you think there is something to the scroll that we need to understand. So if you have some info, please enlighten us. Especially if it helps unlock some other data. Hello again Morpheus, I hope you had a good weekend, the weather here in Western NY was beautiful especially for getting work done outdoors, sunny and 60 degrees, gotta love it! Anyway as far as the scroll goes. There is a reason why I think it is important, what the scroll actually represents. The seals as they are removed cause actual physical effects that happen on earth. The seals are all visible on the outside of the scroll, they are in fact what keeps the scroll from being opened. I would disagree that the seals are God's wrath, I believe that God's wrath occurs later in the revelation with the pouring of the bowls. I also agree with you about Zechariah and the scroll that he sees, I believe that he sees the same scroll that John sees except Zechariah sees it already opened. What Zechariah says is that the purpose for the scroll is to "banish", my version says "purge" the thieves or what I would say are false prophets, and those who swear falsely in God's name or false believers. 45 “So all these curses shall come on you and pursue you and overtake you until you are destroyed, because you would not obey the Lord your God by keeping His commandments and His statutes which He commanded you. 46 “They shall become a sign and a wonder on you and your descendants forever. However both Zechariah's scroll and the scroll in revelation concerns the whole earth not just the nation of Israel. The scroll of cursing, I believe actually contains the plagues of the trumpets, on one side and the bowls on the other. We see that immediately after each seal is broken there is an effect that happens on the earth. After the seventh seal is removed there is silence in heaven for about a half hour, the scroll is opened and then the trumpets begin to sound followed by the bowls. It stands to reason that the trumpets and bowls are what is written in the scroll, since the opened scroll is the subject of the passage. If the seals are what holds the scroll shut, how can their effects coincide with effects that happen later? Especially if the trumpets and bowls are what make up the curses on the scroll. It just doesn't make sense. The seals and their effects come first followed by the trumpets and their effects, and then the bowls and their effects. None of the effects are described as being the same. And as I have pointed out you cannot cherry pick effects to fit your theory, if some of the effects of the sixth seal occur at the end of the 70th week, then they all have to, and those people hiding in the mountains present a problem, because they cannot be doing so and also be gathering to war with the Lamb. The seals and trumpets and bowls are described as happening in order, the plain reading of the Revelation shows that they follow one another consecutively. Though their effects on earth have similarities they are not the same. 9 and a third of the creatures which were in the sea and had life, died; and a third of the ships were destroyed. 10 The third angel sounded, and a great star fell from heaven, burning like a torch, and it fell on a third of the rivers and on the springs of waters. 11 The name of the star is called Wormwood; and a third of the waters became wormwood, and many men died from the waters, because they were made bitter. 3 The second angel poured out his bowl into the sea, and it became blood like that of a dead man; and every living thing in the sea died. 4 Then the third angel poured out his bowl into the rivers and the springs of waters; and they became blood. At the trumpet only one third of the sea life dies, but at the pouring of the bowl every living thing in the sea dies, at the third trumpet one third of the rivers and springs are made bitter and many die as a result. But at the third bowl the rivers and springs turn to blood. Not the same thing. You cannot have one third of sea life dying simultaneously with all sea life dying. The one third happens first, then later all the sea life dies. The effects may build upon each other, but they cannot happen at the same time. 1 Then I saw another sign in heaven, great and marvelous, seven angels who had seven plagues, which are the last, because in them the wrath of God is finished. Which is why after the final bowl is poured out the voice from the temple says "it is done". The passage doesn't say that any of the the seals, or trumpets are the last, it specifically says that the plagues of the seven angels are the last, because in them the wrath of god is finished. To them are added the bowls of God's wrath. The seals are not mixed with wrath, the trumpets are not mixed with wrath, but these seven last plagues are added to the bowls of God's wrath. They are distinct and separate from the seals and trumpets. That they are said to happen last, shows that their effects follow those of the trumpets. I also want to address the idea that the rapture takes place when the last of the trumpets sound because it is the "last" trumpet. And who was the one who spoke with this trumpet voice? 25 “Truly, truly, I say to you, an hour is coming and now is, when the dead will hear the voice of the Son of God, and those who hear will live. Jesus is the last trumpet. RT, You never deal with sequences. Unless you get the sequences outlined and harmonized, you will continue to see differences instead of similarities. Revelation and the Olivet Discourse are not straight through sequences. In the Olivet Discourse are the words "but before that..." So you have to show a jump in the sequence. And in Revelation 12, there is obviously a jump back in time to Jesus birth and then him caught up to heaven. So Revelation is not a strict sequence either. And you also have things like the 2 witnesses who prophecy for 1260 days. They are mentioned in the sequence but the question becomes are they mentioned at the start of their ministry or at their end? Some things take time and do not follow a nice little sequential order for easy listing out. I know it seems the "third of life being destroyed in the sea" is incompatible with "all life being destroyed in the sea". But maybe it is possible to match the two up after all. It can depend on one's perspective. If you look at things globally, one could say only a third of life was killed, but if you look at it locally, you could say all life was killed. To the person standing immediately in front of the disaster, they might not see a single living thing. Or another way of looking at it is, what sea gets destroyed? Whatever this event is, and it sounds like a poisoned meteor crashes into the earth, pollutes the water like a hundred huge thermonuclear bombs. All life in the sea and the ships are destroyed. But not necessarily on the other side of the earth. It is 100 percent fatal for those on one side of the earth. Everything dies there, but not the other side, or two thirds of the earth. If this theory of what actually happens, is it possible for the two accounts about this event to be true? 2. A third of all life died on the earth in this disaster. The fact is that yes, both can be true at the same time. The questions then becomes is this what we actually find written in Revelation? I think Greek scholars need to weigh in here. I do not trust our translations enough to be dogmatic one way or the other. Also, we have to realize, regardless of what language we use - Greek or English - we still have to be careful about the idea of perspective. I know this may sound wishy washy but take the gospel accounts as an example. There are events where one gospel writer said there was one man, and the other gospel writer said there were two. Are the two accounts the same event or must they be two different events? After harmonizing the gospels, we see that we need to be a little more tolerant of the perspective of the writer. It is not not that one account is right and the other wrong. We have to harmonize the two accounts together to get a fuller picture of what actually happened. I always use an example of a bank robbery. When the police show up to find out what happened, one bank employee says there was a masked man. Another witness says he saw two ladies. Another witness said she saw a man and a lady. Which eye witnesses are telling the truth and which are lying? The fact is, there is a way to harmonize all these accounts. The police filed a report saying three people, a man and two women, robbed the bank. So here is an example of one person saying there was one bank robber, two people saying there were two nah robbers, and the police man saying there was three. All three statements are true. But which is the whole truth, at least that can be logically deduced from this data? The policeman's account is the fullest. So I just showed, in English, that accounts that do not match up, actually can without contradiction. The point I wish to make is that something like this could indeed be what we find with the trumpet and bowl judgments. Maybe they are different; but there exists a possibly that they are the same. We should not be so quick to dismiss the harmony possibility. It is easy to see how these two lists can be matched up. List A has numbers 1-4 and so does List B. However, if these lists are sequences, then where do they match up? Is the correct harmony this? That is what we have with sequences in prophecy. There are two possible right answers. We need further info to determine which of the two answers is the right one. Although there are differences between the first of the trumpets and first of the bowls, there is nothing to say they can't be effects of the same event. The land gets destroyed and the people suffer sores. Cause and effect. We already looked at point two and explained the differences as a matter of perspective. Same with the third point. With point four again we can see a possible cause and effect relationship. Same with point five. The locust are the cause of the pain. Point six has differences but also similarities. The river Euphrates is mentioned in both. Coincidence? One mentions four angels and the other three frog like demons. Same event or different event? Tough call. I think context weighs in heavily here. Point seven matches up perfectly. So do the differences in the details force us to not harmonize these two sequences or do the similarities in the sequences force us to harmonize the details? It is not so cut and dry. I think the only way to solve this is to understand the bigger context of the outline of the whole book of Revelation. Is there something that says one list takes place and finished before the other one even starts? Only a master sequence and understanding of the overall structure of Revelation can shed light on this issue. I have written a lot but I want to make sure I stress the point. We have to understand the sequences and their context within other sequences. Or maybe they are listed in an order but not in any particular order. For example, Revelation says "and then John saw..." Does this mean one event took place and then another, or that John clicked on one hyperlink, then the next? What, you may be asking. Where does hyperlinks come into play? Who says they can't? In John's day, they did not have computers, the internet, and the web. Writings were always linear. But now days, we learn and view things on the web all the time. We can linearly go through links and can write down linearly what we saw, but that does not not mean the hyperlinks mean any particular order. I know I just pulled something way out of left field, but I mean to say we are wrong to assume John did not have access to our technology. After all, he was seeing "visions of the future" Replace that word with "videos of the future" and I think you might be a little closer to understanding my point. We need to think differently about what John saw and how John saw. Revelation 4-11 is sequential. There is nothing to indicate otherwise. But starting in chapter 12, what we see is a list of hyperlinks, details about things John just saw in the overview video. It is like Jesus showed John a computer and it started off with a 10 minute video (chapters 4-11) Then John gets taken to a web page and he clicks on each link seeing a short video with more detail about each thing listed there. That is what the rest of the book of Revelation is. Hyperlinks. At the end, Jesus takes his scroll, maybe a rolled up flexible OLED large screen display, and that is it. John writes down what took place. We have that writing as the Book of Revelation. I know I am going out on a limb here but really, is this all that far fetched? Why do we assume it couldn't be like this? If I were a time traveler back to John's day, would not all this be possible? Heck, today we have hollywood movie graphics that make cities look like they are being destroyed by superheroes. So we have the technology today to envision all of Revelation. We have the video and hyperlink/web technology to do this. Okay, the flexible OLED display is not quite here yet, but close. John was visited by somebody whose technology is better than ours. Why do we assume his whole experience must be confined to first century technology? I think that is a mistake. I actually wish I had the time and budget to do Revelation just like I envision. A website with movies with special effects and then the hyperlinks to the details. Boy would people come to understand Revelation in a whole new light. We have the technology. We are even doing Christian movies today. It sure would be cool to do Daniel and Revelation. Ezekiel would also be cool. Maybe even Zechariah. Okay, I have to get back to work but hopefully something here helps other people to see things in a new light. RT, I know you want to interpret each word and be exact. I respect that. I am just trying to show another way to look at all these things, a way that goes way beyond the words to an understanding how this all should be looked at. The words are important, but so is context. So are sequences, and so is creative imagination. The other side of the earth? You are making this up, this is not in scripture. It is not at all like scriptural accounts that talk of one man while others mention two. (Reference needed) The two are indeed incompatible. The angels here are told not to harm the earth, or sea until the 144.000 are sealed. The four angels would be those who sound the first four trumpets, whose effects harm the earth and the sea. 2 So the first angel went and poured out his bowl on the earth; and it became a loathsome and malignant sore on the people who had the mark of the beast and who worshiped his image. We should assume that the earth and sea being spoken of that is effected by the trumpets is the same as the earth and sea being effected by the bowls, be it specific as in the Mediterranean or more general as in the Oceans. There is no reason to assume that the passages refer to different places on earth. You say this because it fits your theory, but that is not what scripture says. I would agree with your idea of sequence, and I do believe there is a sequence of events, seals followed by trumpets, followed by bowls, just as they fall in the writing of the Revelation. Their effects occur on earth as they are written. I understand what you are saying in that effects might be the same, but that is not how I see the reading of the Revelation. The sequence is plainly laid out. yes I agree that there are points within the Revelation where a window is opened for John to see both past events and things yet future to what he was seeing at the time, such as within the sounding of the seventh trumpet. But that does not take away the order that the plagues happen, the seventh trumpet sounds after the 6th and before the bowls are poured. That is the plain reading of events. Your efforts to outline and harmonize the sequence of events that are similar is what keeps you from seeing that they are in fact different, you want to see them as the same. But the scripture does not connect them in that way, you do. The seven seals are removed by Christ in order, their respective effects happen in the order the seals are removed. The seven angels who have seven plagues which are the last, come out of the heavenly temple and the 4 living creatures give them 7 bowls of God's wrath and they are told to pour out the bowls upon the earth. The seven angels pour out the bowls of God's wrath on the earth in order, their respective effects happen on earth in the order in which they are poured. That is how the Revelation reads, no where does John ever indicate any other order, he never indicates that trumpets are sounding when bowls are being poured or that seals are being broken when trumpets are sounding or any other such thing. That is an idea that people such as yourself contrive to fit into a theory. Yes I will not divorce myself from speculation, I admit that some of what I might think and believe is based on some assumption. But the order of events is plain for all to see, it is what some things may represent that is open to interpretation. And yes there are some difficult things to place such as the two witnesses and some of the things revealed in the seventh trumpet but the order of events is very obvious in the simple reading of the Revelation. Seals are followed by Trumpets are followed by Bowls and then Christ returns. Oh and there are also the 7 thunders in there too which happen before the 7th trumpet. I would encourage you and others who might be up to the challenge to set aside your preconceived ideas and go back and re-read the book again and write down the order in which John presents events. Don't try to interpret things, just write down the order of events as they unfold in the Revelation. I did this myself, years ago. I had always been taught the traditional pre trib rapture theory as a young believer, and then I found this site, which had me questioning whether the rapture happened in the midst of the 70th week. But when I set aside my preconceived ideas and just went through to try to figure out the timing of events, it was obvious that what I had learned was not correct. The order presented by John in the Revelation is plain and obvious to see. That is not to say that I have arrived by any means, and I may be wrong especially about my assumptions, that though based on scripture, are not necessarily absolute in their interpretation. I like to say I know a few things,but I certainly don't know everything. I completely agree with you here, I have often thought of it as a power-point presentation, or overview of events with added details about events important to the 70th week and its purpose. But I do not think that changes the sequence of the seals/trumpets/bowls following in order after one another. The 7th trumpet is merely an interlude, given to expound on the 70th week's events. I believe that Rev' 15:5 Picks up where 11:19 leaves off. Ah- time is one luxury I have some of, thanks for the words of respect, I respect everyone who struggles to understand God's word, including yourself. We are all in this together. I agree, words and context are important, but if we are to try to arrive at a true interpretation we should leave creative imagination out of the mix. Trust me I am a very creative and imaginative person, I was an art major. But when it comes to understanding God's word, reason trumps imagination every time. RT, you say the sequence of Revelations is seals, followed by trumpets, followed by bowls. You say this is plain. But you managed to skip a great of info in Revelation. My sequence I proposed fits all the data of Revelation. You did partial. Before it can be plain to other people, you have to include all the data. So you have to show where the two witnesses fit, where the two beasts fits, where the fall of Babylon fits, where the two harvests fit, where the second 144,000 fit, etc. It is not just enough to mention they exist. You have to show sequencing. If you propose a straight forward sequence of Revelation, you have to fit all this data into a theory that makes sense. I say Rev 4-11 is sequential. I think we agree there. But after Rev 12 and to the end of the book, I put things in a list but not necessarily strictly sequential. Yes, the second bowl obviously follows the first bowl, but does the two beasts in Rev 13 come after the trumpet judgments? How does the 144,000 in Rev 7 match up with Rev 14? Are there two groups of 144,000? What is Mount Zion that they are on? When the beast does his bad work for 42 months, you must place this after the trumpets, which mean all the trumpets have to finish before the midpoint of the 70th seven. Yet, the two witnesses also minister for 42 months, which mean they are in the front half of the 70th seven and they are killed by the king coming out of the Abyss in the fifth trumpet. So the Beast from the Abyss cannot be the beast in Rev 13 because he only works for 42 months. So there are not two beasts, but now three. Or something like that. If you stop and start the sequence, you have to tell why it stopped and why it starts. How do you know you are starting it back up in the right place? What is your proof? If it is an assumption, then that is okay. But you have to label it as such and realize it is not a strong proof. I don't think things are plain and simple at all. A sequential reading of all of Revelation is impossible. If you think it is, let's hear it. If it is not sequential, then where do you jump and why? And it we are going to jump, then there is no inherent problem with the bowls matching up with the trumpets. Of course the details have to match up and we have talked about that some, but you can not dismiss the possibility. By the way, from what you write, you still do not understand much of what I have written. I can tell you think I believe things I do not. So you have to be careful to reach a conclusion about what I write. We have to make sure not to talk past each other. And how about that moon question? Red, dark, sackcloth... which is it? Can they actually be talking about the same thing? And when I talk about all life being destroyed in an event, yet only 1/3 of life gets destroyed in the event - that is how we really talk. They don't match up in detail, yet both can be true at the same time. For example, during 9-11, four planes were crashed and everybody died. Yet only 4 out of 4,000 (an estimate) planes crashes and there was only 1/4,000 loss of life. Here are two statements that numerically differ, yet both true. My point is can this be what is going on with he trumpet and the bowl judgments? The possibility exists and we should not be so quick to say the trumpets and the bowl cannot match up. Nothing with language, vocabulary, grammar, or hermeneutics says my example above is incorrect. The facts on the ground prove the two different statements are correct. Are you an expert Greek scholar to somehow prove the trumpet and bowl judgments cannot both be talking about the same event? We can see, even in English, the context determines a lot of how we interpret the statements. I am not sure what you thought I meant by the meteor crashing into the earth. On the side of the earth it crashes into, it would be 100% loss of life; yet with the earth as a whole, it would only be a 1/3 loss of all life. What is so hard to understand about that duality? Is that what is going on in Revelation? Maybe. Probably. The second angel pours out his bowl on the sea and everything in the sea dies. Which sea? All seas? That is not what the text says. It says sea. Singular. You have to make an assumption it means all seas. Well, I make the assumption it means one sea. Your way makes the trumpets and bowls not match up. My assumption means they do match up. I am saying the two sequences matching up is a powerful proof my assumption is correct. It would be very hard to match 7 things in a row on any list. The fact that this is the only one that you think can't match up is telling. You have to understand you are making an assumption. So am I. But mine just so happens to help all seven trumpets match up with all seven bowls. That is something very hard to do. You have to understand that the evidence leans very hard in my direction. We are all trying our best to understand Revelation and for that matter, all prophecy. Until we can put together a sequence of Revelation that makes sense, we can argue details all day long. I hope to have shown, the 2nd trumpet and the 2nd bowl judgment are not impossible to harmonize. Neither are the moon going dark, red, or as sackcloth. Harmony is possible. We do need creativity to look at all possibilities when it comes to interpretation. By that I do not mean we make up information that is not there.. Nor do I mean we change what it says. I mean, like the police example I stated in an earlier post, we have to use logic to harmonize all the data to make sense. This takes creative thinking. Seeing all options not just one or two options. Hi Morpheus, when I have more time I will gladly give you a more detailed list, but I would also ask that you add where you see the seals, trumpets and bowls falling in your sequence list, I may very well misunderstand you, and have asked repeatedly for this information so that I can better understand. The reason I did not expound on my list was because I thought we were talking about where events of the sixth seal happen not necessarily where all the events fall in the timeline. That is where the OP started but if you want more then I will supply it when I have more time. Not sure exactly when that will be. But I will get back to you with that. *note- In this sequence the effects of the seals/trumpets/bowls as described as happening upon the earth in the book of Revelation begin to occur on earth at the time the specific seal is removed, or the trumpet sounded or the bowl poured. Seals 1-4 have been removed by Christ and their effects happen on the earth throughout the church age, increasing in intensity as the 70th week draws closer (Birth pains). Seal 7- (Silence in heaven for about a half hour) The first half of the “hour of testing” or the first three and a half years of the 70th week. The antichrist confirms the covenant to start the 70th week clock, the false prophet steps onto the prophetic stage, also at this time I believe the ministry of the 2 witnesses begins, and the 144,000 are sealed during this time. The Jews will also reinstitute temple sacrifices of some kind and a temple will be built in Jerusalem. Many people will be saved, both the 144,000 and gentiles as well. But the great deception will also deceive many. *The scroll represents the great tribulation, primarily the last half of the 70th week, and on it are written the plagues of the trumpets and bowls. Trumpets 1-4 are sounded their effects begin to occur on earth just before the middle of the week. Trumpet 5- the first woe- the bottomless pit opened, stinging demonic locusts torment men on earth, for five months, I believe this will also begin just before the middle of the 70th week and continue for five months. Trumpet 6- the second woe- the four angels released, I believe these angelic beings are the supernatural counterpart of the 200 million man army on earth. They go on to kill 1/3 of mankind. I believe these are the tribulation saints who will be killed. Again this army is roused just before the 7th trumpet sounds, and continues to pursue the saints throughout the last half of the 70th week. Seven thunders- I believe this is when the fullness of the gentiles occurs. All those gentiles who will be saved during the first half of the 70th week will have been at this time. Just before authority is granted to the “beast to overcome them”. I also believe that towards the end of this time, the battle between Micheal and his angels and the dragon and his angels begins. Trumpet 7- the third woe- the seventh trumpet begins with a broad overview giving more details about what has and will transpire in order to fulfill prophecy. It begins at the end, looking forward to Christ’s reign on earth and how Christ will destroy those who destroy the earth and reward His bondservants. John sees the ark of the covenant appear in the heavenly tabernacle, which is opened to receive it. 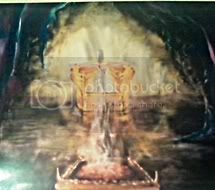 I believe that it could be the actual Ark of the Covenant that God will catch up but it may also symbolize or happen coincident with the resurrection of the two witnesses. Who will be killed by the antichrist just before the AOD. The sign of the woman giving birth to a son, in my opinion is symbolic of Christ’s resurrection as the head of the male child, and includes the resurrection/rapture of His body the church. The child both head and body are caught up into heaven. Satan and his angels are cast to earth, and those who will have been saved during the first will be persecuted by the beast and his armies, while the “woman” flees to safety in the wilderness. The woman I believe is the 144,000 of the tribes of Israel. At this time the mark of the beast will be enforced, the final gentile kingdom will rule, and the world will worship the antichrist and the dragon. In Chapter 14 John sees more about what will transpire. He sees the Lamb standing with the 144,000 on earth at Mt. Zion, in Jerusalem, victorious and singing the new song of the kingdom age. He sees the reapers, Jesus who will reap the lives of the tribulation saints, and the angels who reap the evil ones and throw them into the winepress to be tread under foot. This I believe looks forward to the battle at Armageddon. Then He sees another future event, (Rev 15:2) the resurrection of the tribulation saints, those who will be killed by the Antichrist because they did not take the mark, this is still part of the overview John sees at the sounding of the 7th trumpet. Then finally he sees the temple in heaven is opened, the overview is finished and John is about to describe the next series of plagues that will befall the earth. The reason I say the overview is finished here is because he has seen the last of the events of the 70th week, the handing over of the kingdom to the saints, which happens after the tribulation saints are resurrected. We know that this actually occurs later in the sequence of events as described in Revelation 20:4 (see below). Bowls 1- 6 are poured out on the earth. I would suggest that these events happen over a short period of time, weeks maybe a month at most. The antichrist and false prophet gather together armies to fight the final battle against the Lamb. Bowl 7- It is done- the greatest earthquake ever, happens, 100 pound hailstones fall from the sky, mystery Babylon is destroyed. The sky is opened and Jesus returns to destroy those gathered against Him at Armageddon. The beast (Antichrist) and false prophet are seized and cast into the lake of fire. Satan is bound and the tribulation saints are resurrected. The millennial reign of Christ begins. The difference between me and RT is you put Seals 1-4 as church history while I see them as the overall layout of the 7ish year period of the AC's rule. 5. Who does the AC eventually turn his attention to? The saints, those that hold to the Covenant. 6. Gods wrath is poured out. Reread Daniel and you will see the AC, the King of the north follows this exact pattern in Daniel 11:21-45. He rises, goes to war, economic misery/famine naturally follows wartorn nations, he invades many nations, death to those who oppose, during his war with Egypt he also turns his attention to Israel and Christianity. The AoD happens and persecution ensues. Eventually he comes to his end. Seals 1-6 are right there in Daniel 11:21-45. This is why I see the Seals as a general overall view of the 7 years. And as why I see the trumpets as the judgements which befall the earth as the seals are opened. The 6th seal Gods wrath, comes in the form of the 7 angels carrying "the bowls of Gods Wrath, clearly labeled as so. The dead in Christ are not raised to the tune of an angel sounding a trumpet, but are raised by the call of Jesus, who speaks with a trumpet voice. This is exactly what I mentioned in a previous post. At the 7th trumpet (which announces the bowls of Gods wrath), the FINAL trumpet, Jesus comes and descends with a shout, sends his angels to the 4 corners to gather his elect. Is Jesus the final trumpet, sure he can be, but he can also announce his call with a trumpet after the 7th angel blows his. Either way it is the final trumpet upon which the rapture, the only rapture takes place. In the days when the 7th trumpet is about to sound, the mystery of God will be completed. As Morpheous stated, their order of writing in Revelation is not necessarily mean the order that they take place. They can be simultaneous, but for the sake of clarity and to not to confuse, God separated these things in johns vision to understand what is going on better. The trumpets and bowls are sequential, yes, but the seals overlap the entire 7 year period. You have a lot there in your post, I will do my best to address most of it. First of all I do not see that there are two rapture events, unless of course you want to count the resurrection of the two witnesses which I think happens about the time of the 7th trumpet. When I mentioned the rapture in connection with the 7th trumpet, it was in retrospect, as part of the vision John receives at that time. He is shown a bigger picture of what had already transpired, a historical perspective that showed him that Christ as head was the first to be caught up into heaven, the first to be resurrected, His body follows Him bringing the church age to a close, the head and body are "born" into the heavenly tabernacle. This is important to show John because after the seventh trumpet sounds, God's attention will now turn to the nation Israel. It puts events into prophetic context so to speak. I would disagree with you, there are in fact many resurrections of the righteous dead, Christ was the first of course, then there are those that are raised at the 5th seal, along with the raptured (6th seal) which make up His body , the church, which I contend happens before the 70th week. Then there will be the two witnesses, though that appears to be more of a rapture event, since they are brought back to life and then caught up in a cloud. Which I believe happens around the middle of the week, then there will be the tribulation martyrs who are raised at the end of the week, and again I believe there will be righteous who are resurrected at the close of the millennial reign as well. There is no biblical contradiction, there are two kinds of resurrection- the first kind which is the one for the righteous and the last kind which is the one for the wicked. There is more than one resurrection of the righteous, but only one that occurs for the wicked, at the end of the millennium. I have already explained why I believe the seals cannot happen as you suggest, perhaps you missed that. But their effects are different than the effects that occur later. The one that especially raises a flag to me is the behavior of the group of people described in Revelation 6:15- 17 as compared with the behavior of the same group described in Revelation 19:17-19, which everyone seems to ignore. The reality is that the effects of the first four seals have been playing out on the landscape of the earth pretty much since man has existed. I do not believe they are connected in any way to the Antichrist, though certainly his actions will follow suit. The book of Zechariah speaks of colored horses and riders who patrol the earth to appease God's wrath. I believe that the horses of the Revelation are similar spiritual entities that have geopolitical effects on the earth. The difference between the Revelation horses and riders is that they are now released by Christ as He removes the seals from the scroll. Just like there was a change in the working of the holy Spirit under the new covenant in Christ, I believe that there will also be a change in the working of these spiritual entities under the New Covenant in Christ. I disagree for reasons already stated. 1 Thessalonians 3:15-1715 According to the Lord’s word, we tell you that we who are still alive, who are left until the coming of the Lord, will certainly not precede those who have fallen asleep. 16 For the Lord himself will come down from heaven, with a loud command, with the voice of the archangel and with the trumpet call of God, and the dead in Christ will rise first. 17 After that, we who are still alive and are left will be caught up together with them in the clouds to meet the Lord in the air. And so we will be with the Lord forever. Concerning the coming of our Lord Jesus Christ and our being gathered to him, we ask you, brothers and sisters, 2 not to become easily unsettled or alarmed by the teaching allegedly from us—whether by a prophecy or by word of mouth or by letter—asserting that the day of the Lord has already come. 3 Don’t let anyone deceive you in any way, for that day will not come until the rebellion occurs and the man of lawlessness[a] is revealed, the man doomed to destruction. 4 He will oppose and will exalt himself over everything that is called God or is worshiped, so that he sets himself up in God’s temple, proclaiming himself to be God. Both references in Thessalonians by Paul reference the rapture, resurrection and gathering of the alive and dead to Christ. It is one instance and it happens at one specific time. The Day of the Lord. kirthril wrote: Both references in Thessalonians by Paul reference the rapture, resurrection and gathering of the alive and dead to Christ. It is one instance and it happens at one specific time. The Day of the Lord. Most don't want to see or recognize this very important fact, which can really skew one's view on the timing of the Rapture. Thanks for posting this very important key point Kirthril. I would disagree, the passages do not necessarily say that the rapture happens on the "day of the Lord". 13 But we do not want you to be uninformed, brethren, about those who are asleep, so that you will not grieve as do the rest who have no hope. 14 For if we believe that Jesus died and rose again, even so God will bring with Him those who have fallen asleep in Jesus. 15 For this we say to you by the word of the Lord, that we who are alive and remain until the coming of the Lord, will not precede those who have fallen asleep. Verse 15, talks about the coming of the Lord, I believe that this is in direct reference to the rapture itself, the coming of the Lord to gather His body, the church to Himself. They are caught up into the clouds to meet the Lord in the air. In fact if you read just a little bit further you will find some clarification. 1 Now as to the times and the epochs, brethren, you have no need of anything to be written to you. 2 For you yourselves know full well that the day of the Lord will come just like a thief in the night. 3 While they are saying, “Peace and safety!” then destruction will come upon them suddenly like labor pains upon a woman with child, and they will not escape. 6 so then let us not sleep as others do, but let us be alert and sober. 7 For those who sleep do their sleeping at night, and those who get drunk get drunk at night. 8 But since we are of the day, let us be sober, having put on the breastplate of faith and love, and as a helmet, the hope of salvation. 10 who died for us, so that whether we are awake or asleep, we will live together with Him. 11 Therefore encourage one another and build up one another, just as you also are doing. First of all what can we discover in this passage about the "day of the Lord"? "They" are unbelievers, who walk in darkness, but the brethren are sons of light, notice that the sons of light are not destined for wrath, but rather for salvation through Jesus, whether awake or asleep they will live together (eternally) with Christ. (AKA the rapture). The day of the Lord is a separate event reserved for those who walk in darkness, the coming of the Lord in reference to the rapture or gathering together in Christ is distinct from it. 2 that you not be quickly shaken from your composure or be disturbed either by a spirit or a message or a letter as if from us, to the effect that the day of the Lord has come. There is no contradiction here, with what I am claiming, the Thessalonians were being told by someone that the day of the Lord had already come. Well if it truly had, then these brethren, would be thinking to themselves that they had not been destined for salvation, but for wrath, they had missed the rapture. Paul is assuring them that they did not miss the in-gathering of the church to Christ. He goes on to explain all the signposts that will lead up to the day of the Lord, including the removal of the restrainer, which is in my opinion the in-gathering of the church to Christ. A reoccurring theme in all these passages is that believers are to be comforted by what is being said, comforted because they are destined for salvation (resurrection/rapture), they will not endure God's wrath on the earth at the day of the Lord. 12 in order that they all may be judged who did not believe the truth, but took pleasure in wickedness. 14 It was for this He called you through our gospel, that you may gain the glory of our Lord Jesus Christ. There is no conflict or contradiction, the coming of the Lord for His church is a separate event from the day of the Lord, but as was said, one's perspective can "really skew one's view on the timing of the Rapture". Resurrection Torchlight wrote: I would disagree, the passages do not necessarily say that the rapture happens on the "day of the Lord". Resurrection Torchlight wrote: The day of the Lord is a separate event reserved for those who walk in darkness, the coming of the Lord in reference to the rapture or gathering together in Christ is distinct from it. Hummmm, I wonder where this thought is coming from? I believe that the aforementioned passage of Scripture clearly speaks for itself. Punishment for those who walk in darkness will be delivered at His Coming - which is the Day of the Lord AND our gathering unto Him. This is not a separate event per se' as it happens simultaneously - which results in different rewards. Mr Baldy wrote: I believe that the aforementioned passage of Scripture clearly speaks for itself. Punishment for those who walk in darkness will be delivered at His Coming - which is the Day of the Lord AND our gathering unto Him. This is not a separate event per se' as it happens simultaneously - which results in different rewards. shouldest destroy them which destroy the earth. Same DAY, SAME TIME, Different Results. Just as you're saying Mr B., Different for Those in the Light AND those in Darkness, But the Same Time, Same Day. When your grandfather was still a younger man, he took his wife and left his adult children and grandchildren in Kenya to take a better job in England. He has been sending money back with his letters to the family in Kenya ever since. One day when he was visiting he told all of the grandchildren including you, that before he is ready to retire from his job, he will return home to get them and take them all back to England with him so that they can all gather at his home there where he will personally bestow on each one a portion of his estate. One day a letter was received from someone claiming to be an associate of your grandfather’s, telling the grandchildren that their grandfather had retired a year ago and had moved away. The grandchildren were very confused and upset by this news because they were anticipating the coming of their grandfather to take them to England before his retirement to receive their inheritance. Did their grandfather change his mind? Did he lose the estate? Did he find them unworthy of it? The letter went on to explain that there were many things that still had to happen before he retired, he reminded the grandchildren of what these things were and that they should not worry, their inheritance was secured and they had not missed out on it. He will surely come and gather them before he retires. As I said it isn't a perfect analogy but I believe that it shows how the coming of Christ to gather his church can be a different event than the coming of Christ to initiate the day of the Lord. When the day of the Lord is described, when the sun and moon are darkened, the earliest identifiable event is armageddon, as described in Zech 14, Joel 3. At the 6th seal men hide in the rocks and caves, which Isa 2 also describes in association with the DOTL. It would appear that the 6th seal is consistent with the DOTL when Jesus returns at armageddon. If the rapture occurs at the 6th seal, then the rapture occurs at the time of armageddon, when the sun and moon are darkened, on the DOTL. 1whowaits wrote: When the day of the Lord is described, when the sun and moon are darkened, the earliest identifiable event is armageddon, as described in Zech 14, Joel 3. At the 6th seal men hide in the rocks and caves, which Isa 2 also describes in association with the DOTL. It would appear that the 6th seal is consistent with the DOTL when Jesus returns at armageddon. If the rapture occurs at the 6th seal, then the rapture occurs at the time of armageddon, when the sun and moon are darkened, on the DOTL. I have already pointed out several times, that there is a glaring discrepancy with the actions of those hiding in fear from the Lord at the 6th seal as compared with the actions of the very same group described later at the battle of Armageddon. You cannot have the same people hiding in fear in caves and among rocks and also have them gathered on the plains of Armageddon in open rebellion against God to make war with Him. 14 The sky was split apart like a scroll when it is rolled up, and every mountain and island were moved out of their places. 14 for they are spirits of demons, performing signs, which go out to the kings of the whole world, to gather them together for the war of the great day of God, the Almighty. 11 And I saw heaven opened, and behold, a white horse, and He who sat on it is called Faithful and True, and in righteousness He judges and wages war. 12 His eyes are a flame of fire, and on His head are many diadems; and He has a name written on Him which no one knows except Himself. 13 He is clothed with a robe dipped in blood, and His name is called The Word of God. 14 And the armies which are in heaven, clothed in fine linen, white and clean, were following Him on white horses. 15 From His mouth comes a sharp sword, so that with it He may strike down the nations, and He will rule them with a rod of iron; and He treads the wine press of the fierce wrath of God, the Almighty. 19 And I saw the beast and the kings of the earth and their armies assembled to make war against Him who sat on the horse and against His army. How do you explain this? How can the kings of the earth and commanders be hiding in caves and also be gathered for war? How can they be exhibiting such great fear of God and also open and fearless rebellion against Him? The list of those in both passages is virtually identical yet their actions are diametrically opposed to one another. So how can it possibly be the same event? I and others have also pointed out the differences in the actual heavenly signs as well, pointing out that they are in fact different, though it seems no one wants to acknowledge that either. As for Isaiah I see no contradiction. He had a broad picture of the end times, John had a much more specific and detailed picture, Isaiah saw the trailer, John saw the entire film. I personally believe that when Christ comes to gather His church, that those on earth will see something, they may even see the Lord Himself come for us, if not they will witness frightening heavenly and earthly signs that cause them to believe that the day of wrath has come. The rapture is no small potatoes event, many people will disappear, there will be a great earthquake, there will be heavenly signs it will be a day unlike any other in history up to that point. People left on earth will be afraid. They will be mistaken by what is happening, believing falsely that it is the day of wrath. That is my opinion. It will set the perfect stage for the Antichrist and false prophet to step onto. How simple it will be for them to claim to be the savior returned from heaven to set up the New Earth. I have done considerable research on the New Age movement, and they are already propagating the seeds of this lie. If you don't believe me, just go look for it online, you will find it already taking root. They even say that many people will disappear, or be removed before the New Age/ New World "shift" happens. Honestly that is why I think the Lord did not spell it out to us more clearly in His word, because he doesn't want to play His hand, He doesn't want people in the world to know what the delusion that He will send is. 10 and with all the deception of wickedness for those who perish, because they did not receive the love of the truth so as to be saved. God sends a spirit of error (deluding influence) upon those who did not receive the love of the truth so as to be saved who take pleasure in wickedness. He sends this spirit so that they will believe the lie. What is the lie that they will believe?..... What is the lie that the Thessalonians believed? Hmm?........ Could there be a connection?......... They believed the Day of the Lord had come, when in fact it had not. Perhaps it will be the same lie that Revelation 6 hints at, that the people of earth will believe after the rapture, that the Day of the Lord has come. That the Antichrist is actually a savior returned to earth, maybe even resurrected from the dead as the Revelation seems to imply (the fatal head wound). They will believe that he is God, they will worship him and they will worship the dragon, Satan himself. Something of very significant magnitude will have to happen that will convince the people of earth to worship these characters en mass and within a very short period of time. Something will also have to happen to cause many to turn to Christ in a short amount of time, those people on the fringes who heard the truth, maybe even believed it, but never put their trust and faith in Christ, those who will die as martyrs during the 70th week, they will understand that the rapture has happened and they will turn to Christ and be saved and others with them, I tend towards the belief that the 1/3 killed by the Trumpet armies will be those martyred tribulation saints. It makes perfect logical sense to me, you may disagree, and I may be wrong. God has not shown us all the cards in His hand, so we cannot know for certain until it comes to pass. Resurrection Torchlight wrote: Revelation 16:13-14 13 And I saw coming out of the mouth of the dragon and out of the mouth of the beast and out of the mouth of the false prophet, three unclean spirits like frogs; 14 for they are spirits of demons, performing signs, which go out to the kings of the whole world, to gather them together for the war of the great day of God, the Almighty. Why do you think that these Spirits Go out to Deceive and gather them together? Because they had been previously hiding in fear.....but they are Soon Convinced to gather together and Fight. According to shorttrib/prewrath, the events of Rev 16 Follow the Rapture. How do you explain this? How can the kings of the earth and commanders be hiding in caves and also be gathered for war? I can answer this easily. Because Megiddo is not the only field of battle. A close study of the Day of Vengeance shows Jesus fighting in Egypt, Arabia, Jordan, Turkey, Syria, Lebanon, and Israel. Plenty of mountainous areas. Secondly, not every military on earth is gathered to fight against Christ, but against the Anti-Christ. There is the Ac armies coalescing in the middle east and then there are the armies of the east pressing against him, the Russian army from his north pressing against him, and the western navies opposing him (Daniel 11 21-45). What is to the east of the Middle east? The mountainous regions of Afghanistan/Pakistan. What is north of the middle east? The mountainous region of Georgia and Chechnya. These secular armies will realize their doom when Christ appears, but the Islamic armies of the Ac are actually expecting our Christ to come. The call him the Djaal. They know he is coming and even will defeat them, that is why they stand in defiance, they believe their god will deliver at the last second. Lastly, whole earth doesn't necessarily mean whole globe. The Ac is mentioned as having authority over the whole earth, but a simple reading of Daniel shows that his kingdom is regional in size and the strongest nations oppose him. So does he have authority over EVERY nation/government? No. Only to those who recognize him. Likewise, Daniel told King Neb, he would be known and adored throughout the whole earth. But DID everyone on earth give praise to King Neb or know of him? No. When one looks at the word "earth" the more precise translation is "area of regional authority". In other words, the AC has authority over all those within his empire and any he conquers. It is from his own region and conquered lands that he calls these kings to battle, and I bet the first 10 are among them. In Islam, the believe that at a certain point, the Mahdi will issue a call throughout the world for all muslims to come to the middle east to "defend the caliphate" preparing for the arrival of the Djaal. Our Christ. So in actuality you have two opposing sides. You have the armies of the AC specifically gathered to oppose Christ while still fighting against the rest of the world. You also have the armies of the strongest nations who don't believe in Christ and are simply at war with the AC because he attacked them first and his religion trampled them and they want payback. These secular armies will not be expecting the return. The muslims are. Yes previously, not at the same time. Do you put the 6th seal events concurrent with Rev 16? If so they cannot happen at the same time. Resurrection Torchlight wrote: Yes previously, not at the same time. Do you put the 6th seal events concurrent with Rev 16? No, the events of Rev 16 occur anytime from 30-75 days After the Rapture IMO. Rev 6:6 Is describing the Time Event of the Rapture though. The Seals, 4-6 do Briefly describe the events that occur During the Seven Trumps. The Bowls/Vials (Rev 15&16) Follow after the Rapture. The Rapture, IMO Begins on the Day of the Lord's Wrath. So your rebuttal is that some kings and armies might be in hiding while others are not? That falls flat to me at least. The passage in Rev 6 says that the kings of earth are hiding along with the others mentioned. The implication is that all the kings of earth are hiding, not just some in specific places. Also the frog like spirits go out to the kings of the whole world to gather them together for the war of the great day of God. It actually says "the whole world" so your idea that it isn't referring to the whole earth is rendered moot. 35 “Then the iron, the clay, the bronze, the silver and the gold were crushed all at the same time and became like chaff from the summer threshing floors; and the wind carried them away so that not a trace of them was found. But the stone that struck the statue became a great mountain and filled the whole earth. So would you make the claim that the stone,which we know to be Jesus, that His kingdom does not fill the whole earth? That He will only rule over a portion of the earth? Would you say that the Lord is only ruler of part of the earth and not the whole world? 2 and He Himself is the propitiation for our sins; and not for ours only, but also for those of the whole world. Is Jesus the propitiation of only part of the world? 19 We know that we are of God, and that the whole world lies in the power of the evil one. Do only some unbelievers lie in the power of the evil one? Does Satan only deceive some of the world? The word for "world" in Revelation 12 is the same one used in Revelation 16, it means inhabited earth. John used it in chapter 12 in reference to the whole planet, I would expect him to mean the same thing in chapter 16. The kings of the whole earth are gathered together for war, they aren't hiding from the presence of the lamb they are gathering for war against Him. Revelation 19:19 says that John saw these kings of earth armies assembled to make war against Christ. Whether Christ is fighting in different places when He returns doesn't change the fact that these Kings; whether they fight against the Lord or the Antichrist; are gathered for battle and not hiding in caves. You can't have it both ways. Thanks for the explanation, I would disagree with your timing of events, but do agree that the 6th seal events come before the events of Rev 16-19.
. The Ac is mentioned as having authority over the whole earth, but a simple reading of Daniel shows that his kingdom is regional in size and the strongest nations oppose him. So does he have authority over EVERY nation/government? No. Only to those who recognize him. Likewise, Daniel told King Neb, he would be known and adored throughout the whole earth. But DID everyone on earth give praise to King Neb or know of him? No. When one looks at the word "earth" the more precise translation is "area of regional authority". In other words, the AC has authority over all those within his empire and any he conquers. It is from his own region and conquered lands that he calls these kings to battle, and I bet the first 10 are among them. In Islam, the believe that at a certain point, the Mahdi will issue a call throughout the world for all muslims to come to the middle east to "defend the caliphate" preparing for the arrival of the Djaal. Our Christ. 5 There was given to him a mouth speaking arrogant words and blasphemies, and authority to act for forty-two months was given to him. 6 And he opened his mouth in blasphemies against God, to blaspheme His name and His tabernacle, that is, those who dwell in heaven. 7 It was also given to him to make war with the saints and to overcome them, and authority over every tribe and people and tongue and nation was given to him. 8 All who dwell on the earth will worship him, everyone whose name has not been written from the foundation of the world in the book of life of the Lamb who has been slain. Sounds like "all people" to me, not just some, but everyone whose name has not been written from the foundation of the world (oh there's that word again) in the book of life. This is why you must take into account all of the passages and not just them individually. If you read revelation alone, YES, it seems the AC controls everyone. But you will have a very hard time comparing that to what Daniel says, and Daniel says straight up the West, the North, and the East will oppose him till the very end. Did King Neb rule over ALL mankind? EVERYWHERE the beasts and birds were on earth? No. The third kingdom of bronze, did it rule over the WHOLE earth? No, no ancient kingdom did. So we have to take a step back and look at what is being said. If you look at strongs concordance at the word used for earth, you will find more synonyms revolving around region, land, area of rule than you will with global. The only reason the AC has authority over all nations, peoples, and tongues is because this is a religious war. His religion is practiced by all ethnicities, languages, and in every country. Thus his leadership is worldwide. But as Daniel points out, he does NOT control or have authority over the Governments or those who reject him. There is a obvious contradiction between Revelation and Daniel if you simply read the bible in English. But that contradiction disappears when you see other examples of "whole" or "all" being used elsewhere and what the word "earth" means. Many times "earth" does not mean "globe" like we think as ius proven in Daniel. So what you are saying is that even though the passage in Revelation clearly states that the beast/Antichrist will have authority over everyone whose name is not written in the book of life, you still claim it is only referring to a geographical region? Do you believe that only some people will be required to take the mark of the beast? That it will just be a regional thing? That's a new one on me, never heard that interpretation before. 40 “At the end time the king of the South will collide with him, and the king of the North will storm against him with chariots, with horsemen and with many ships; and he will enter countries, overflow them and pass through. 41 “He will also enter the Beautiful Land, and many countries will fall; but these will be rescued out of his hand: Edom, Moab and the foremost of the sons of Ammon. 42 “Then he will stretch out his hand against other countries, and the land of Egypt will not escape. 43 “But he will gain control over the hidden treasures of gold and silver and over all the precious things of Egypt; and Libyans and Ethiopians will follow at his heels. 44 “But rumors from the East and from the North will disturb him, and he will go forth with great wrath to destroy and annihilate many. 45 “He will pitch the tents of his royal pavilion between the seas and the beautiful Holy Mountain; yet he will come to his end, and no one will help him. who may serve as a type for the future Antichrist. But even if that is not the case and the passage is talking about the future ruler, it does not say that the battles occur at the end of the 70th week or that they are cooincident with Armageddon, these battles could happen earlier before the Kings are gathered for Armageddon, closer to the AOD maybe when the armies from the 6th trumpet are loosed. Resurrection Torchlight wrote: First of all we do not know for certain that this person is in fact the Antichrist to come. because a careful look at history shows that these prophecies were fulfilled by Antiochus Epiphenes,http://www.herealittletherealittle.net/ ... e=Daniel11 who may serve as a type for the future Antichrist. But even if that is not the case and the passage is talking about the future ruler, it does not say that the battles occur at the end of the 70th week or that they are cooincident with Armageddon, these battles could happen earlier before the Kings are gathered for Armageddon, closer to the AOD maybe when the armies from the 6th trumpet are loosed. I think you are correct on these points RT. RT, regarding men hiding in rocks, from scripture and a logical progression, before Jesus sets foot on the ground and armageddon begins, He is seen in the clouds with certain events occurring while He is still in the air. As the 7th seal, trumpet and bowl ends with the same event, thunder, lightning, earthquake and hail, and the 6th and 7th trumpets and bowls appear to describe similar events, at least the latter seals, trumpets and bowls run in paralell. Prior to Jesus coming in the clouds the armies are gathering for armageddon as described in Rev 16 and the 6th bowl, which could take weeks. When Jesus appears in the clouds the sky is rolled back like a scroll and God and the Lamb are seen(Rev 6), the nations mourn (Matt 24), Israel mourns for and looks upon the One who was pierced (Zech 12), the elect are gathered (Matt 24), and Jesus states He comes like a thief (Rev 16, Matt 24). At this time hailstones of 100lbs fall on men (Rev 16), causing men to hide in rocks and caves (Rev 6). When His time in the clouds is completed, Jesus sets foot on the earth and the mountain splits (Zech 14), and armageddon begins (Zech 14, Joel 3, Rev 19). At the 7th seal and 7th trumpet a ritual and a seeing of the ark are described which would only occur on the Day of Atonement. Jesus is described as coming in the clouds at the last trump, on the day which no one knows, statements associated with the feast of trumpets. As Jesus fulfilled the first 4 feasts at His first coming, it is highly likely that He will fulfill the last 3 feasts at His second coming. The feast of Trumpets is separated from the Day of Atonement by 10 days, likely the period of time that Jesus is in the air prior to setting foot on the mount. Time enough for hail to fall, men to take cover in rocks and caves, and then reassemble to make war against the rider on the horse (Rev 19). 1whowaits wrote: RT, regarding men hiding in rocks, from scripture and a logical progression, before Jesus sets foot on the ground and armageddon begins, He is seen in the clouds with certain events occurring while He is still in the air. As the 7th seal, trumpet and bowl ends with the same event, thunder, lightning, earthquake and hail, and the 6th and 7th trumpets and bowls appear to describe similar events, at least the latter seals, trumpets and bowls run in paralell. So what you are saying is that even though the passage in Revelation clearly states that the beast/Antichrist will have authority over everyone whose name is not written in the book of life, you still claim it is only referring to a geographical region? Authority does not equal control. Once again, you keep skipping this, Daniel states many nations will be against him. Do you believe that only some people will be required to take the mark of the beast? Everyone will be required/forced. But not all will. Right now, whether you realize it or not we are all being forced, by ISIS, to bow to allah or die. Does ISIS have global control? No, but they are exerting their twisted authority over all mankind. That is why they can kill us without hesitation. We resisted their call to convert, thus we are guilty and worthy of death. When it comes to the AC, just like Nazi Germany, those within the empire will be required first to submit, then branching outward. Everywhere the AC religion and its followers conquer, the people of that city, town, village will be forced to convert. But he will not control all mankind or all nations, thats why I keep referencing Daniel. That it will just be a regional thing? It will start off as so, yes. All empires start off regionally and grow from there. All empires dream of conquering the world, and the AC empire will be the same. But Daniel says it will stop just short of that as many nations fight against him till the end. That's a new one on me, never heard that interpretation before. Its not a "interpretation". You were either mistaught Daniel as I once was, or you haven't read Daniel and took revelation solo. Daniel gives great insight onto the "conquest" of the AC, and as I have stated multiple times now, one is going to have a hard time reconciling Daniels vision of a world fighting against the AC and revelations AC having authority and rule over all the earth, if you don't first understand that the word "earth" is more synonymous with "land/region under your rule". I point out once again the example of King Neb in Daniel 3 listed in my above post. As for the passages you mentioned, Antiochus is a forerunner in a dual fulfillment. Everything you just listed the AC will also do. Everything from Verse 21-45 is both the AC and Antiochus. Notice there is NO mention of succession after verse 20. It is because it is redundant to make the same exact prophecy twice in a row. The man of 21 is THE last king of the north. PS: I am sorry if I am dragging this off topic btw. The issue of AC authority/rule is in another thread, so we can resume there if need be. This is essentially my view as well. To get back on topic. sorry.